Planning your Easter menu? 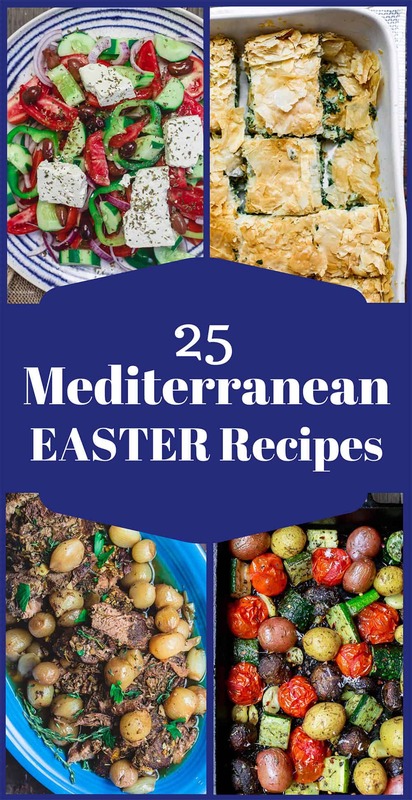 I’ve updated my list of Mediterranean Easter Recipes with some great ideas for everyone! Meaty options, as well as vegetarian dishes everyone loves! Easter lamb and other mains like: slow-cooker lamb; or glorious leg of lamb with potatoes; Spatchcocked chicken or Cornish Game Hens. Amazing sides like spanakopita; Greek roasted potatoes; Italian Roasted Veggies; Or Green Beans with Feta. Loads of beautiful salads and appetizers like Balela, Greek Salad, and Tzatziki! Not to mention, a little tasty baking. 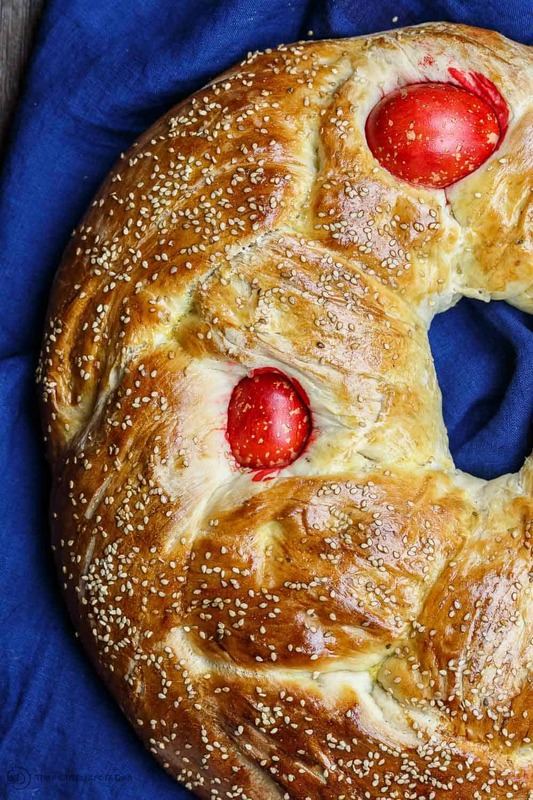 Greek Easter Bread anyone? 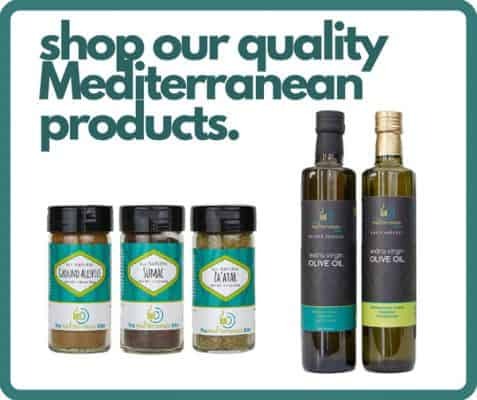 Ready to give your Easter menu a delicious Mediterranean twist?! For people of the Mediterranean–particularly those of the Orthodox faith– Easter follows a 40-day fast called the Great Lent. 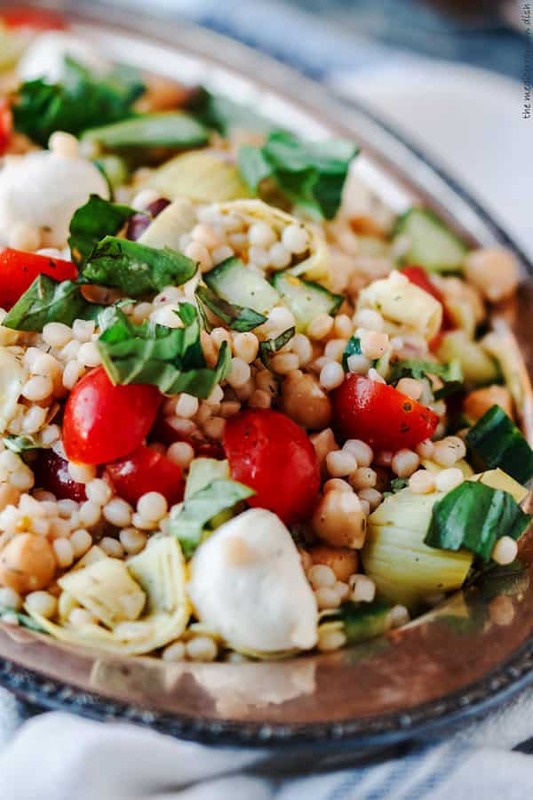 Among other spiritual practices, during the fast, mainly humble vegan meals–like falafel, mujadara, koshari, and fasolakia (green beans)– are encouraged. Easter Sunday typically begin with mass and all sorts of church celebrations, then families gather around large tables filled with favorite Mediterranean dishes and delicacies. 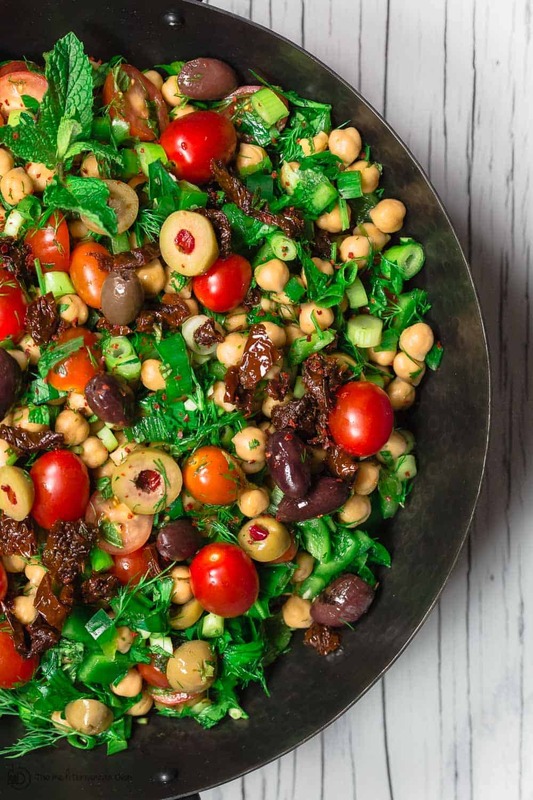 Lamb typically takes center stage (and I have several lamb and other options for you here), but equally important are delicious sides and colorful salads are equally important! Yiayias and nonnas (grandmothers and family matriarchs) who’d been baking, spread out fresh goods like traditional Easter bread and bakalava. It’s safe to say Easter Sunday in the Mediterranean is not a day anyone worries about following a diet. It’s truly a big, loud, and totally delicious feast. 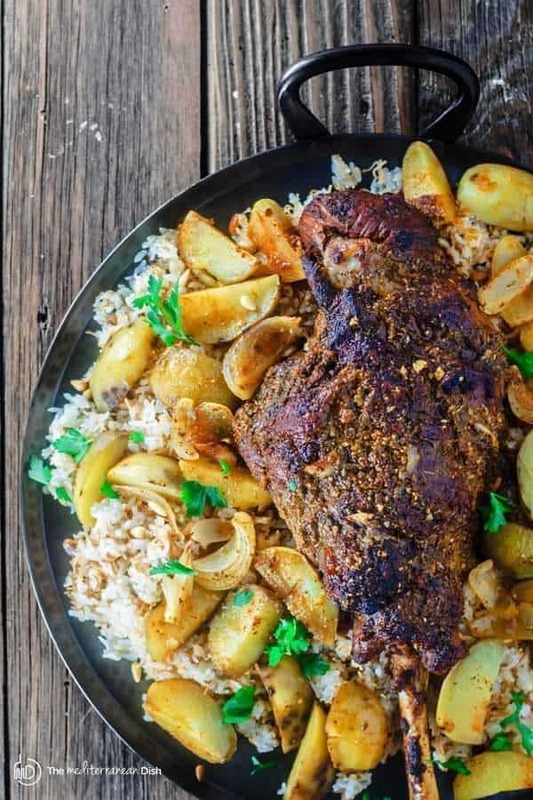 1.Mediterranean Leg of Lamb Recipe with Potatoes! The ultimate Mediterranean-style leg of lamb recipe! Leg of lamb covered in a rub of fresh garlic, Mediterranean spices, olive oil and lemon juice. Roasted with potato wedges and onions. Step-by-step tutorial included! Flavorful, succulent, fall-apart tender boneless leg of lamb, seasoned Greek-style with loads of garlic, rosemary, oregano and citrus. 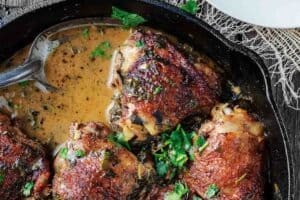 You can make this one in your slow-cooker–free up the oven for other things–or use your braiser or Dutch oven. Both methods included with the recipe. 3. 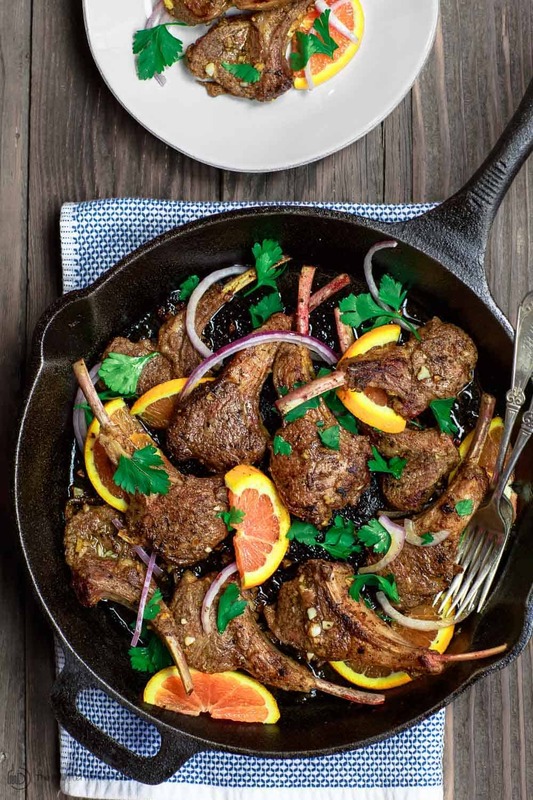 Easy Orange Harissa Lamb Chops. If you just want something quick, try these pan-seared lamb rack chops with harissa spice and a bright orange-garlic marinade. 4. 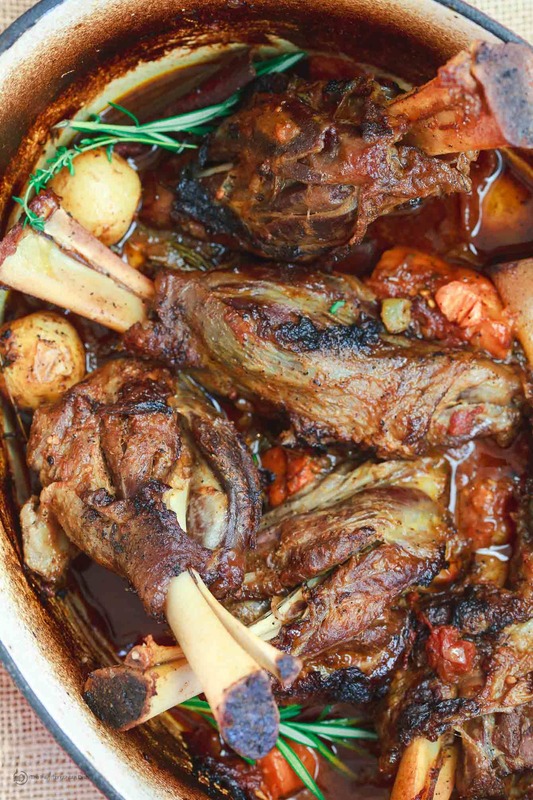 Mediterranean Wine-Braised Lamb Shanks. The beauty of a one-pot-wonder right here! Mediterranean-spiced braised lamb shanks, cooked in a red wine and tomato sauce with vegetables, aromatics, and fresh herbs. 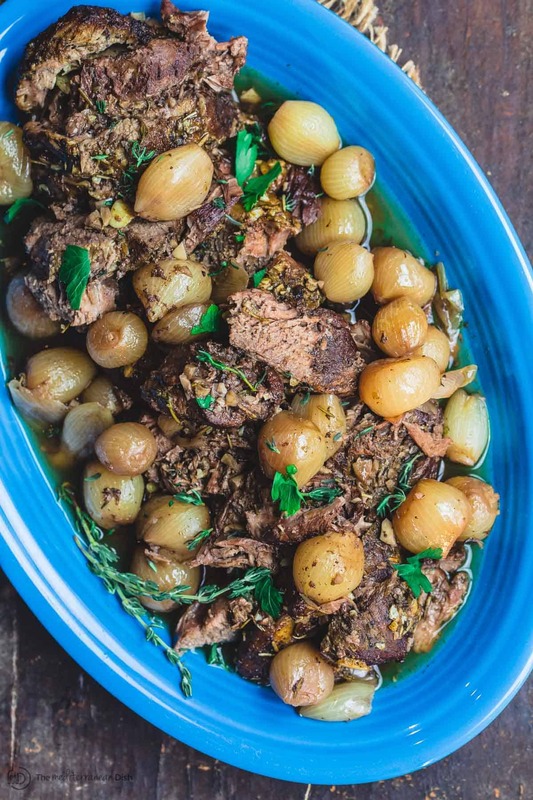 Recipe comes with braising and slow-cooker instructions! 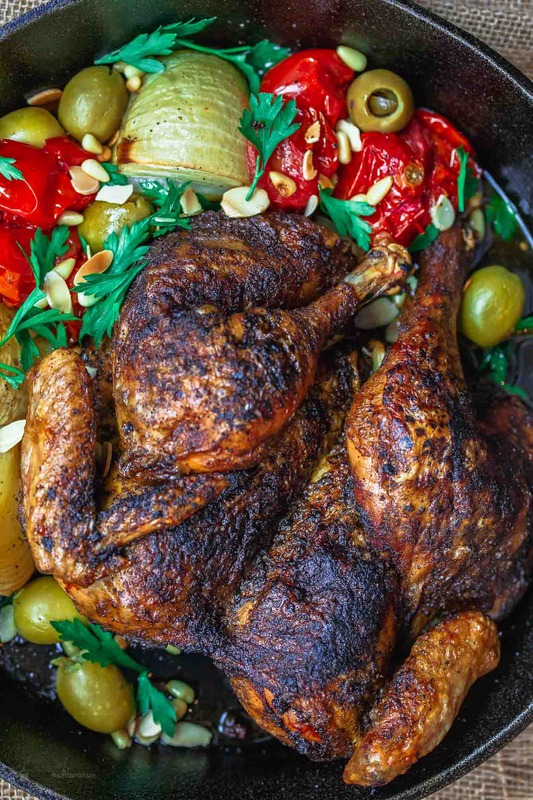 Spatchcocked chicken spiced the Mediterranean way! Two small tricks make the BEST and crispiest chicken ever. 6. 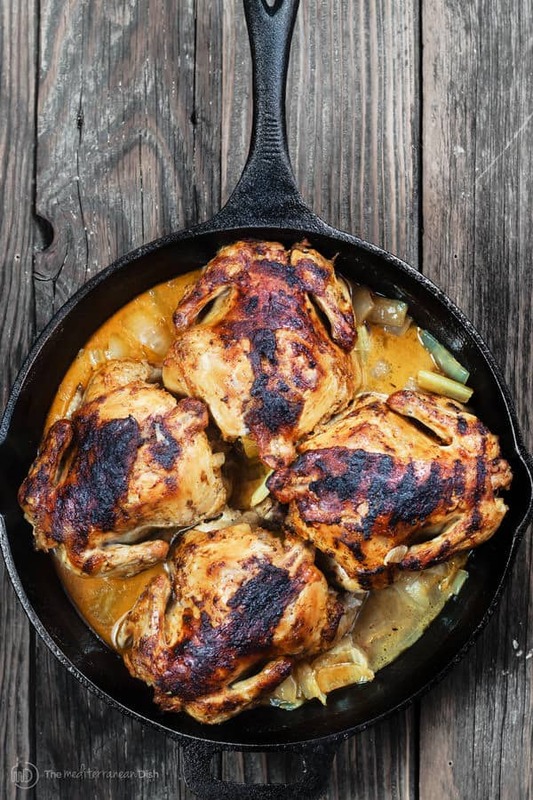 Cornish Game Hens with a Mediterranean Garlic-Spice Rub. Serve each person their very own hen! The hens take on a flavor-packed garlic spice rub before roasting. Every bit as juicy and succulent as they look. 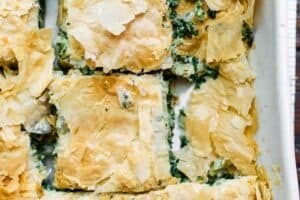 Crispy phyllo (fillo) pie with a comforting spinach and feta cheese filling. This is so much easier to prepare than you imagine! Check out the tutorial and video with the recipe. 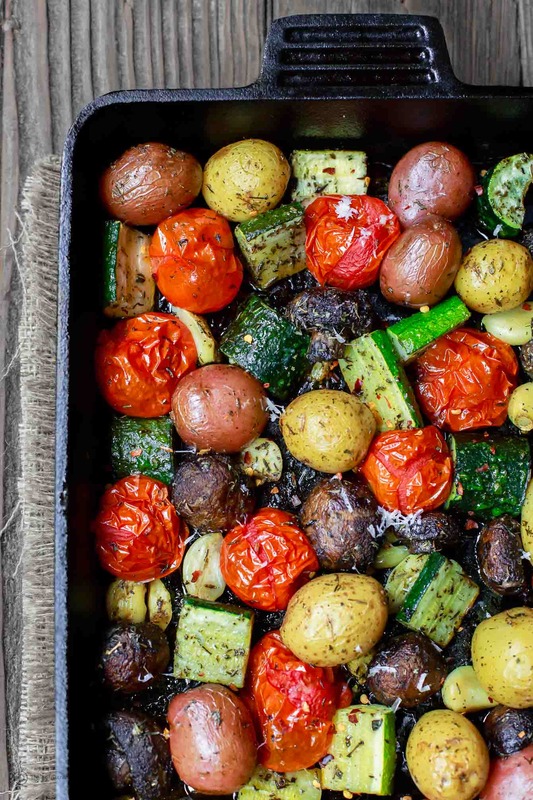 Easy and bright roasted vegetables with an Italian twist. 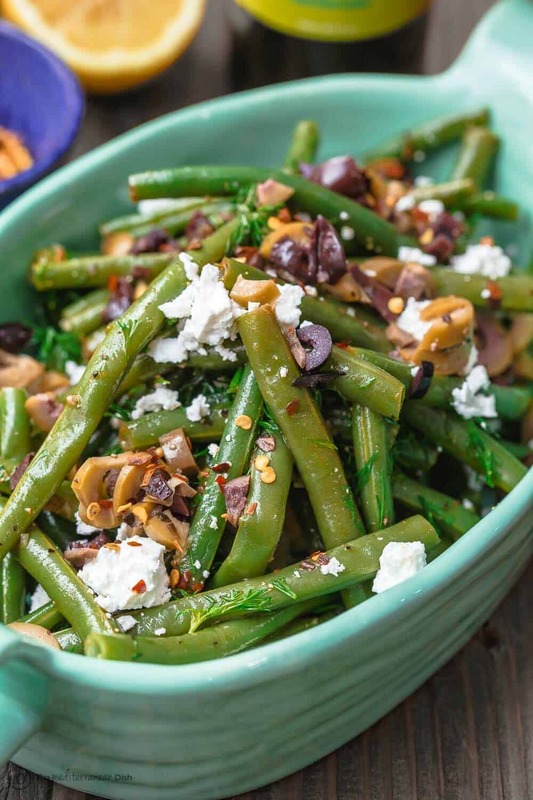 This bright green beans dish with feta and olives is perfect as a side or salad. 10. 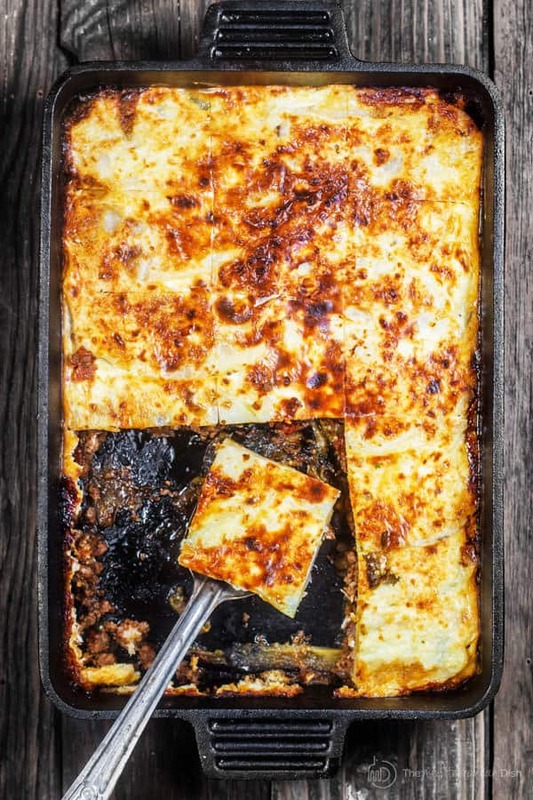 Moussaka: Greek Eggplant Casserole. Layers of eggplant and potatoes with a glorious spiced meat sauce nestled in between! This recipe also comes with a tutorial; and you can prepare it ahead of time and reheat in the oven before serving. Some of the lamb recipes above already include potatoes. But if you’re looking to make your potatoes separately, these should be it! 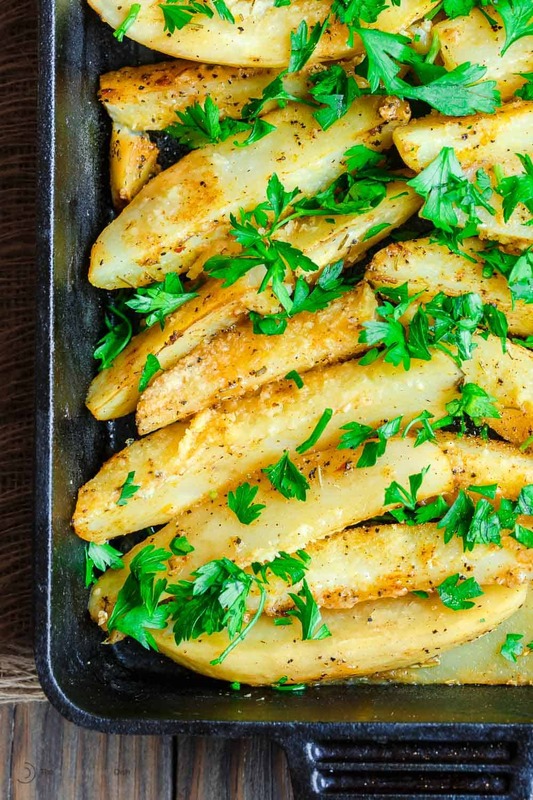 Potato wedges take on a simple Mediterranean spice mixture, then roasted in a lemony broth with lots of garlic. 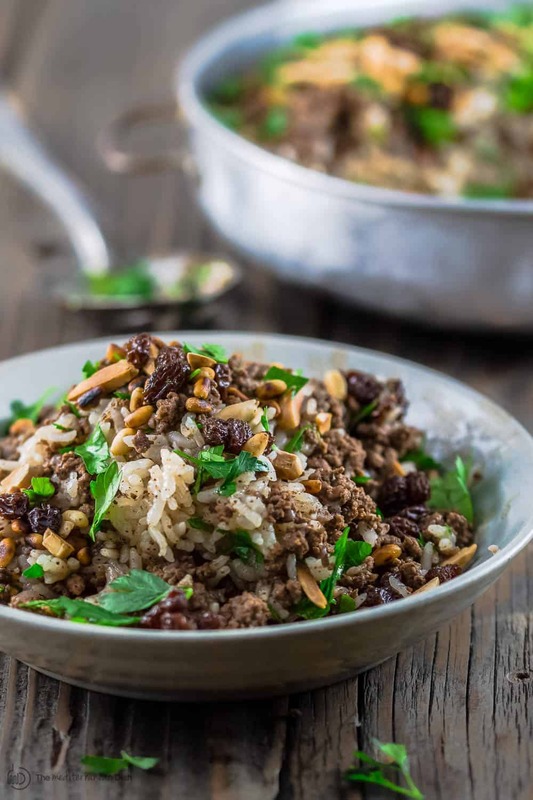 Layers of texture and flavor in this loaded rice dish with beef, nuts and raisins. A great gluten free option. 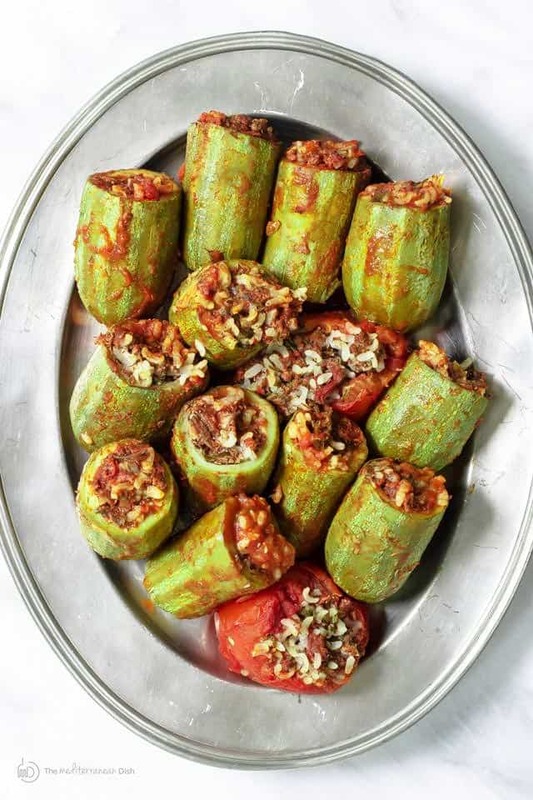 Zucchini –or summer squash, if you prefer– are cored and stuffed with a special Mediterranean rice mixture. Then, they are baked in a light tomato sauce. The step-by-step tutorial is included with the recipe. 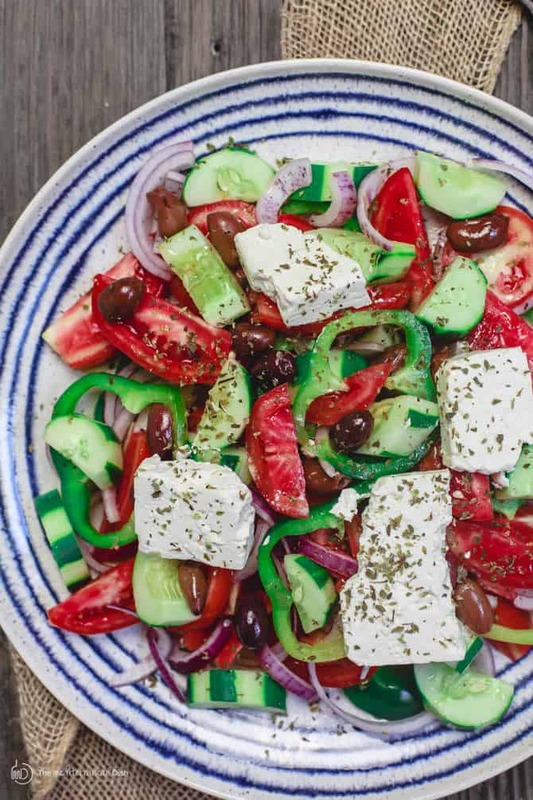 Resist the temptation to add lettuce to this classic Greek salad. 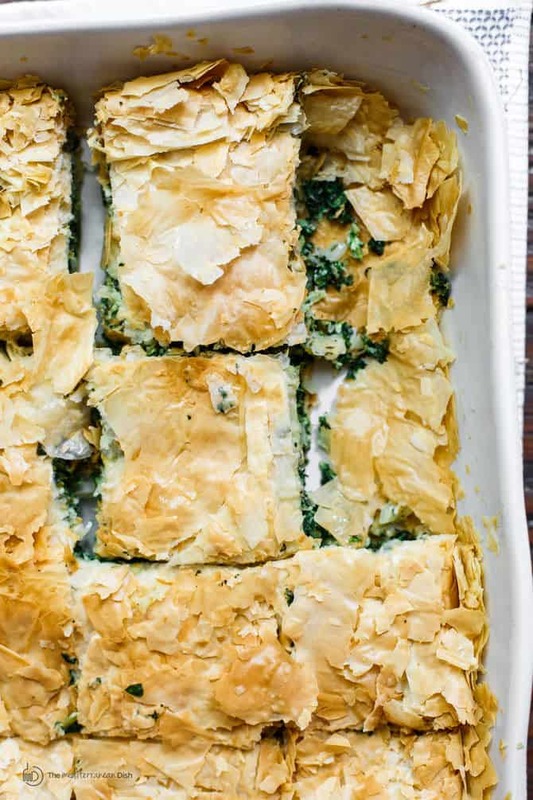 Serve it simply as they do in Greece with small blocks of feta on top! Chockful of chopped fresh veggies, chickpeas, and artichoke hearts! Tossed in a garlic-dill dressing. 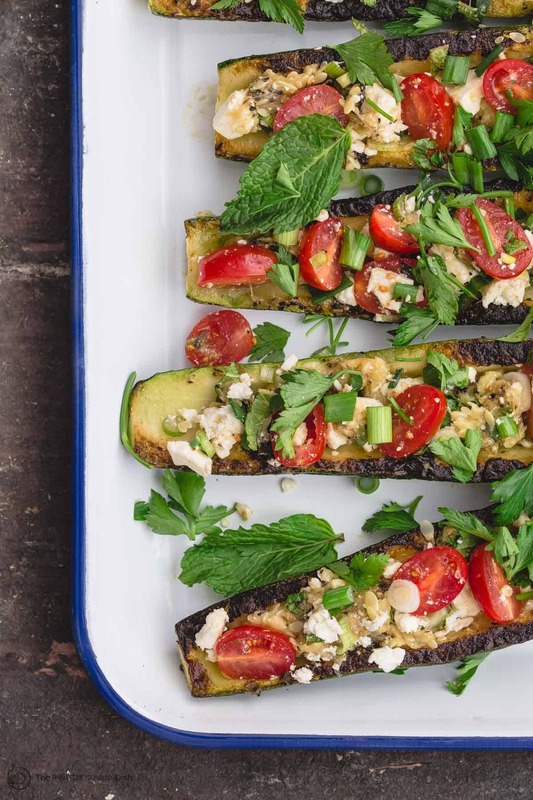 Grilled zucchini makes the perfect carrier for some Mediterranean favorites like tomato and feta. 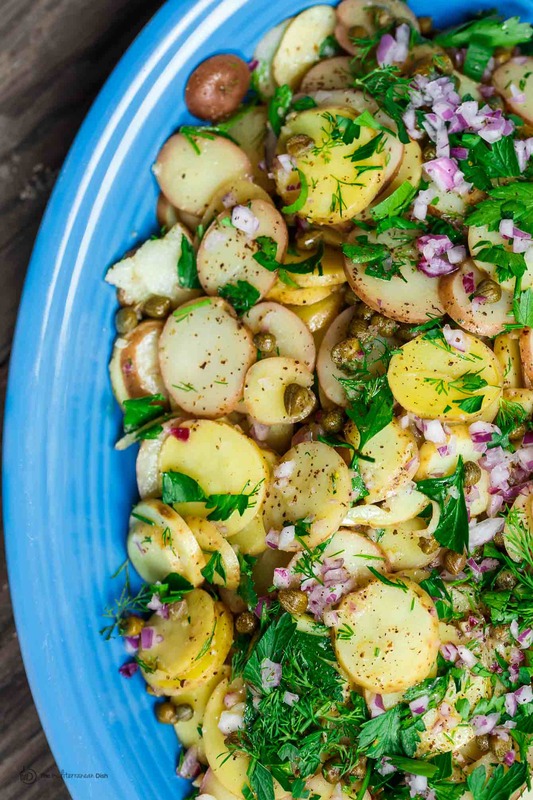 This is a no-mayonnaise potato salad with a bit of French influence. Filled with flavor from favorite spices, fresh herbs and capers. 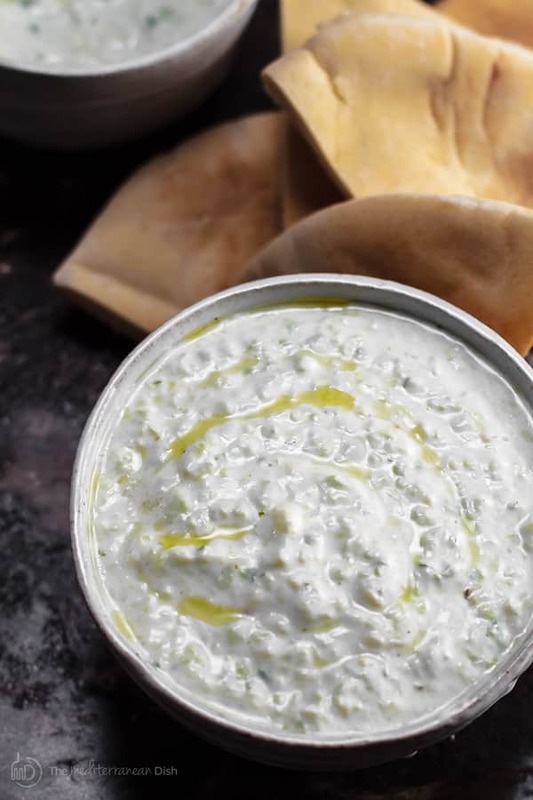 Greek Tzatziki–yogurt and cucumber sauce–is the perfect accompaniment to meat and poultary dishes. 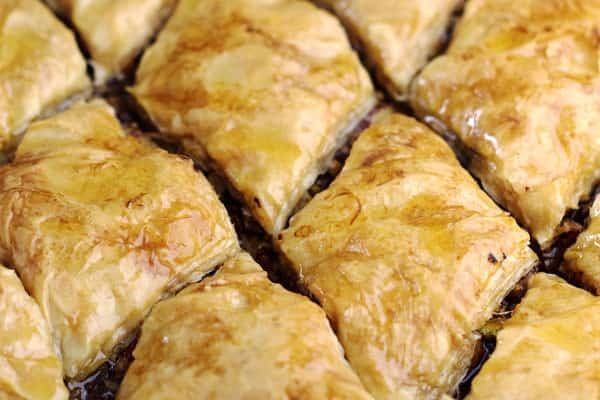 Serve it on the side with your lamb or as part of the appetizer buffet with warm pita. 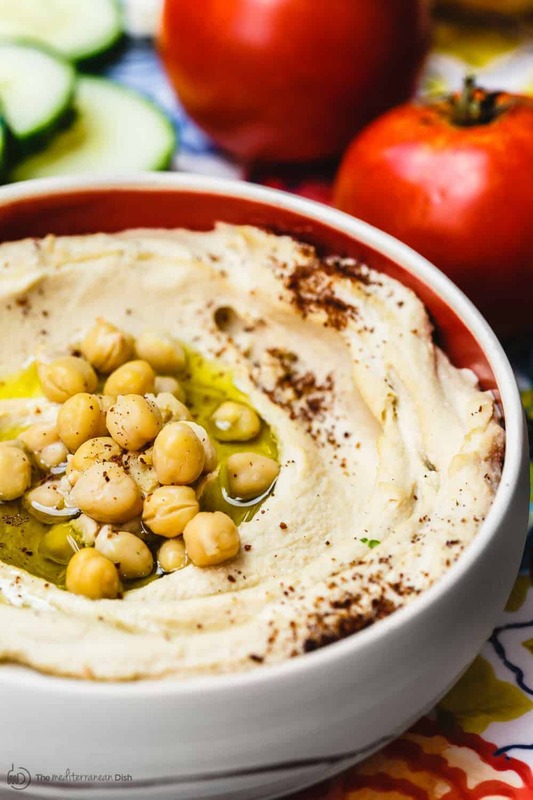 There are a couple of tricks to making the BEST creamy hummus out there. This is a simple dip that is always a winner at my house. 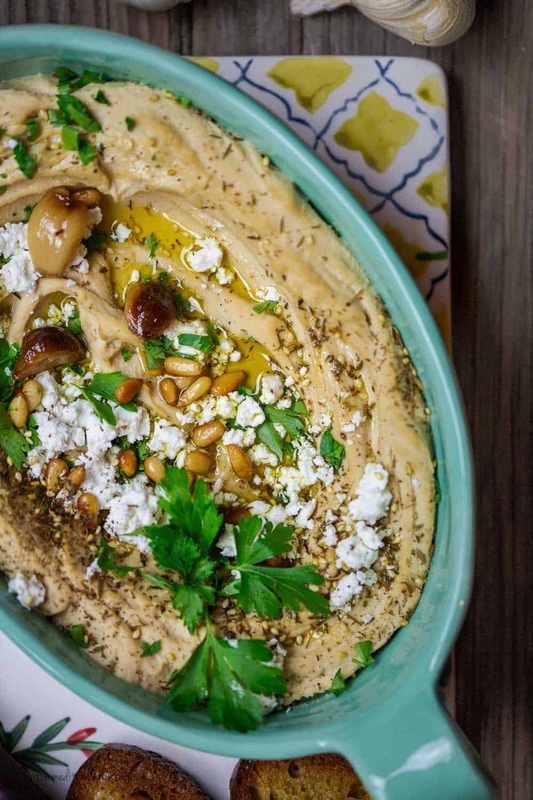 A jazzed up creamy hummus with sweet roasted garlic. Another winner! Tsourike (Greek Easter Bread) is a sweet yeast bread that is a bit brioche-like. You’ll love this dense braided loaf that’s adorned with red-dyed eggs. This bread is as delicious as it is meaningful. 24. 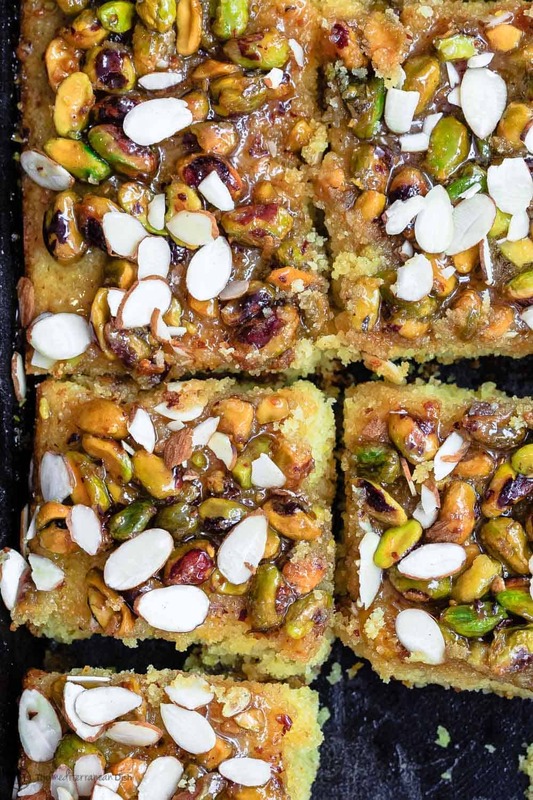 Greek Orange Honey Cake with Pistachios. An inspiration from the island of Aegina, where pistachios and honey from local beekeepers are aplenty. This easy cake is a must-try (Easter or not), perfectly moist with tons of flavor! with my favorite spiced nut mixture of pistachios, hazelnut and walnuts. A guaranteed winner! You can make this ahead of time; it’s even better after one or two days. Recipe comes with step-by-step tutorial and video. *Note: This post has been updated for readers’ benefit. My Yiayia made almost all of these recipes for our Greek Easter. I never got to watch or learn from her as we lived an hour or more away. 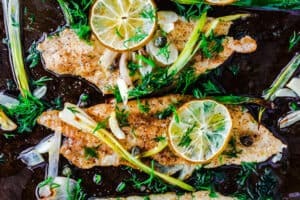 Not only are your recipes easy enough for me to do but they made my mouth water in remembrance of the delicious meals we’d have on Easter, Christmas as well as name days celebrations. Thanks for the memories as well as some great recipe ideas. Jeannette, I am so honored that these recipes bring you good memories. And so happy you find them easy to make! That’s always my goal! Thank you. 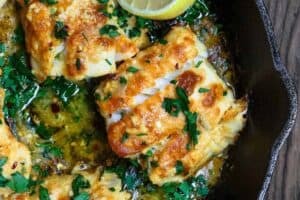 Thanks for the recipes and insight into Mediterranean cooking! So glad to have you here, Curt! Thank you! I want to eat Easter dinner at YOUR house. 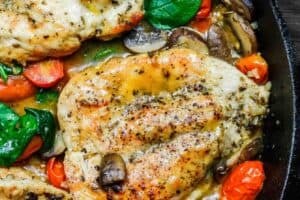 So many amazing recipes!! !